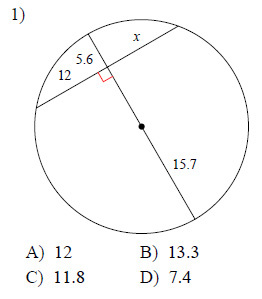 We can use principals from geometry to find the lengths of segments inside circles. Before we begin, we will state a few theorems. 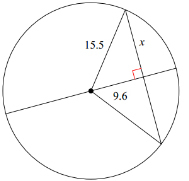 THEOREM: If a diameter is perpendicular to a chord, then it bisects the chord and its arcs. Now we can use these theorems to solve a few problems. 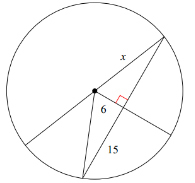 EXAMPLE: Find the length of the segment x. 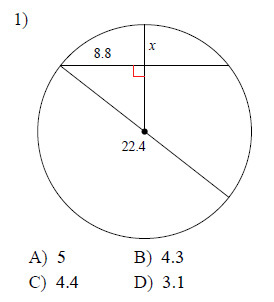 Find the length of the segment indicated. 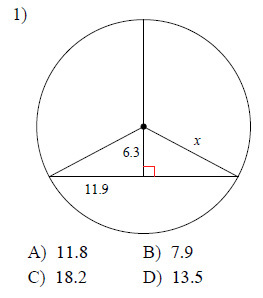 Round your answer to the nearest tenth if necessary.